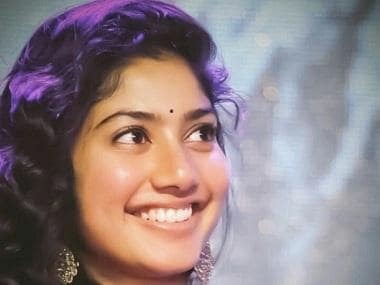 Actress Sai Pallavi has been roped in as the leading lady of Dhanush starrer upcoming Tamil action-comedy Maari 2, its director Balaji Mohan announced on 28 September. Sai Pallavi. Image from Twitter. 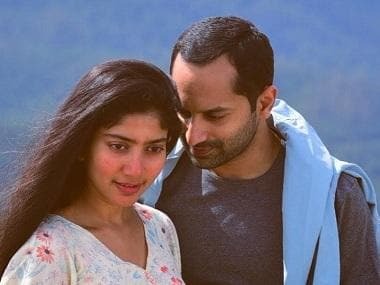 "The vibrant Sai Pallavi is the heroine of Maari 2. It's a character that's right at the heart of the film," Balaji tweeted. The project marks Balaji's second collaboration with Dhanush after Maari. In Maari, Dhanush played a dhoti-clad, moustache twirling local rowdy and he was paired with Kajal Aggarwal. Actors Robo Shankar and Vinod, who played Dhanush's sidekicks in the first part, will be part of Maari 2, which is slated to go on the floors from October. On signing the project, he told IANS, "After Tharangam and Maradona, this will be my third collaboration with Dhanush. I'm really excited to be part of the project. I'm looking forward to start working on this project." Dhanush made his foray into Malayalam films with Tharangam. Maradona marked his second production in the language. On the career front, Dhanush also has Tamil films Vada Chennai and Enai Nokki Paayum Thotaa in his kitty.